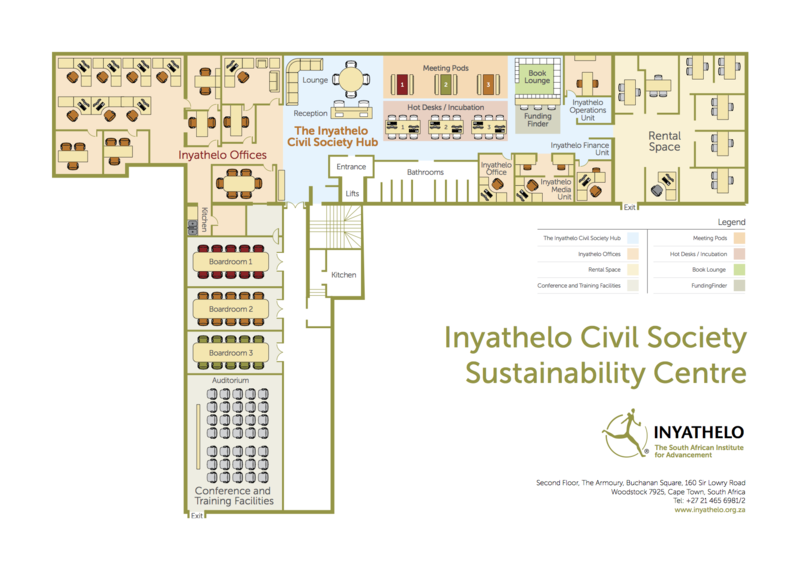 Inyathelo provides office, working and meeting spaces as well as conference facilities to rent or hire at affordable rates. Conferencing facilities for up to 180 people. Access to common facilities such as stable, fast wi-fi, reception, computers, meeting spaces, book lounge and a formal street address. Catering and kitchen facilities (available on request) to support events, and a coffee bar for refreshments.